The Indonesian Ombudsman's Office has revealed a reccommendation that the Tangerang regental administration may go on with its spatial planing in effort to restructure the Dadap red-light area in Kosambidistrict, Tangerang regency. The reccommendation was announced on Thursday, July 28 at Ombudsman's Office in Jakarta in the presence of Tangerang regent A. Zaki Iskandar, the regency's secretary Iskandar Mirsad, Soekarno-Hatta International Airport operator PT Angkasa Pura II president director, Gajah Mada University rector, and representatives of central government, land agency, Legal Aid Office, the regency police precinct, Human Right Commission, and local residents. Based on research and studies on the matter, Ombudsman pushed the regental admininstration to develop the red-light area in line with the government's zero slum programs by constrution Islamic Center, kampung Deret for fisherman, Cullinary Center, Educational facility and fish auction site after the admininstration produces a bylaw and approved by the council. According to the reccommendation, the regency administration can do the restructure of Dadap slum area but the physical works should be implemented by the Mininstry of Public Works and the bylaw will=be produced clearly rules the matter. Regent A. Zaki Iskandar said the administration will perfect all admininstrative process required to develop the slum in cooperation with the Banten Provincial admininstration and other rlated agencies. "The restructuring project will continue as the regental admininstration should develop Dadap into a prospective business district with Islamic Center as a religious icon," Zaki said. The regency has postponed the planned eviction of residents of the Dadap red-light district to allow the Jakarta Ombudsman to address a complaint filed by the locals following first and second eviction notice issued by the admininstration and the locals strongly resisted. 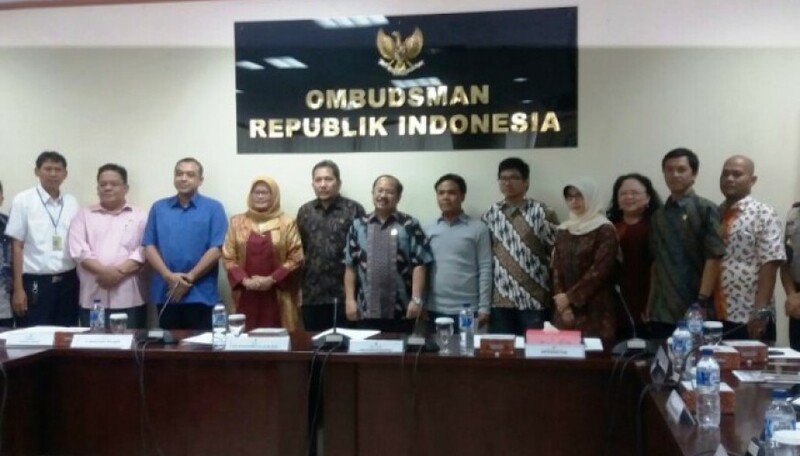 Besides reporting the planned eviction to the ombudsman, the residents have also complained about it to the National Commission on Human Rights (Komnas HAM). Initially, the administration would have issued a third eviction notice to warn residents to vacate the area immediately or be forcefully removed. However, Regent Ahmed Zaky Iskandar had said that the administration had followed procedure for evictions, including by informing residents. Komnas HAM chairman Imdadun Rahmat said the Tangerang administration did not properly discuss the planned eviction with residents. Therefore, the administration has failed to recognize that some residents own the land, pay taxes and have lived there for more than 20 years, he added. Imdadun said not all of the buildings in the area were used for prostitution. "Only 72 buildings are used for prostitution, while 2,000 others are owned by fisherfolk, whose livelihoods will be affected because of the eviction," he added. “We have officially asked the administration to halt the eviction. We request the administration conduct better mediation,” Imdadun said on Tuesday, adding that Komnas HAM sent a letter to the Tangerang administration on May 18. The planned eviction is said to be linked to the reclamation project in West Jakarta and the expansion of Pondok Indah Kapuk 2 residential area. Dadap borders with islet C in Jakarta Bay, which is being developed by PT Kapuk Naga Indah, a subsidiary of Agung Sedayu Group. Dadap residents clashed with security officers on May 10, when the local administration tried to evict them. It was reported that the residents threw rocks and Molotov cocktails at security personnel, who then fired tear gas into the crowd.